Aging is a fact of life, but not one that everyone is happy to accept. As we hit our thirties, however, aging starts to sneak up on us, and we can no longer deny that our skin is changing. The appearance of wrinkles and fine lines is something that every woman dreads. And something that many of us, will do almost anything, to prevent. While it’s only natural that we want to keep our skin looking young for as long as possible, it can be hard to know the best way to achieve this. With so many products and treatments to choose from, it can be hard to know what the real secrets of younger looking skin are. Drinking enough water is crucial for healthy skin. Very few of us actually, drink the amount of water that our bodies need. We are 65 percent water, which means that for fabulous skin, we need to be drinking lots. When our skin becomes dehydrated, it dries out and is more prone to aging. To keep your skin properly hydrated, you need to be drinking between eight and ten glasses of water each day. Wherever you go, be it the gym or on a shopping trip, make sure always to carry a bottle of water in your purse. 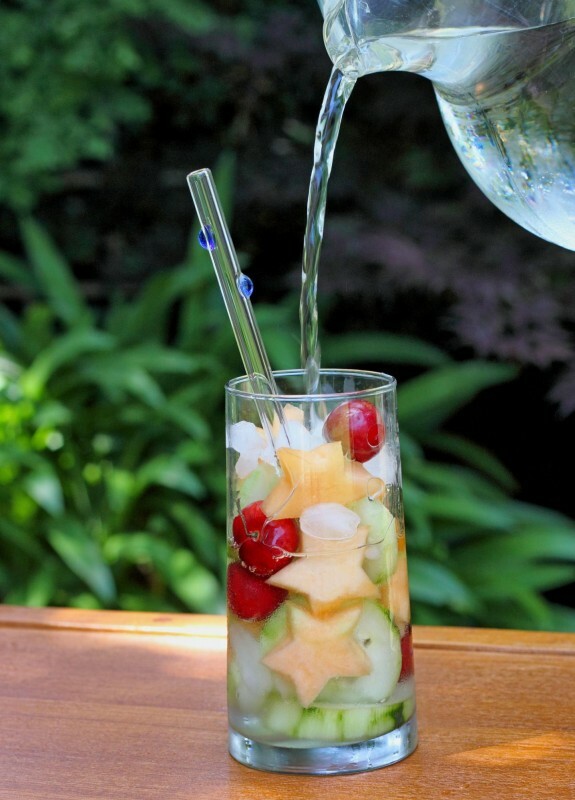 If you aren’t a fan of plain water, add some flavor by infusing fruit into it – this is delicious. It’s no secret that people who follow a balanced diet tend to look and feel better than those of us who live off junk. Not only does unhealthy food affect your weight, but it can also wreak havoc on your skin. To reduce the speed at which your skin is aging, and to give it that youthful glow, you need to fill your diet with lots of fruits, veggies, and lean meats. By following a balanced diet, not only will you feel better, but your skin will also look healthier. Instead of snacking on junk food, swap to fruits, veggies, nuts and seeds, and you’ll see a big difference in the look and feel of your skin. You should have a skin care routine in place already. If, however, you don’t, you need to implement one immediately. When it comes to keeping your skin looking younger for longer, a good skin care routine is crucial. As we start to age, our skin changes, and because of this, requires more care. Cleanse your skin at least once a day, using a gentle, chemical-free cleanser. Chemicals can cause all sorts of damage to our skin, so avoiding them is important. So, unless you want to age more quickly, always use natural products. Exfoliate two to three times a week. As we get older, our skin becomes more dry. Therefore, to keep your skin looking healthy, it’s crucial that you exfoliate at least two to three times a week. 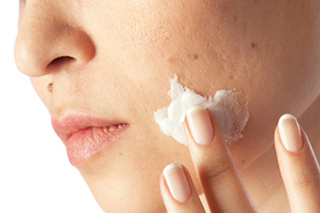 Make sure to opt for a natural exfoliator, as otherwise, it could cause irritation. Give your skin a boost with antioxidants. As we age, the collagen in our skin starts to break down, causing fine lines to appear. However, by using an antioxidant gel on our skin, we can prevent the collagen from breaking down, reducing the amount of wrinkles we have. For best results, opt for a product containing green tea, vitamins C and E, and polyphenols, all of which are potent antioxidants. Don’t forget to apply anti-aging moisturizer. The worst thing that we can do for our skin is let it dry out, as this causes damage. Invest in a good-quality wrinkle-fighting cream, and you’ll love the results. The leading cause of wrinkles is sun damage; that’s why it’s so important to protect our skin from the sun. Did you know that even on cloudy days, the sun’s UV rays can damage your skin? That’s why, it’s so important to use moisturizer and makeup that contains SPF protection. While all of the above suggestions for keeping your skin looking young work well, none of them offer a long term solution. No matter what you do, eventually, wrinkles and other signs of aging will appear on your face. Luckily for us, when this day comes, we have plenty of cosmetic treatments to choose. From wrinkles to sagging skin, there is a treatment for almost every sign of aging. While botox and face lifts are two of the most popular anti-aging treatments, there are plenty of other options to choose. One of which is Venus Freeze Legacy, a treatment that uses magnetic fields to tighten aging skin. This treatment works by causing the skin to form new collagen and elastin, reducing the appearance of fine lines and wrinkles. Cosmetic procedures may not be for everyone, but when it comes to keeping your skin looking young, they are a godsend. This might seem like an odd one, but hear us out. Stress has many negative effects on the body, including speeding up the aging process. If you find yourself getting stressed out on a regular basis, the stress will show up on your face. Think lots of extra wrinkles and lines – any woman’s nightmare. To keep wrinkles at bay, you need to learn to manage stress in an efficient way. There are many successful methods of stress management, from yoga to taking a relaxing bubble bath. How you choose to deal with stress is up to you, just make sure that you know how to effectively, manage it. Otherwise, the stress will show up on your face. It’s a fact of life that eventually, our skin will age. While we can’t stop the aging process altogether, what we can do is slow it down. To keep your skin looking and feeling healthy, no matter what your age, take note of the tips above.